To have your organization's upcoming events listed on this Community Calendar, please click HERE to email us a brief description and a web link to your event. 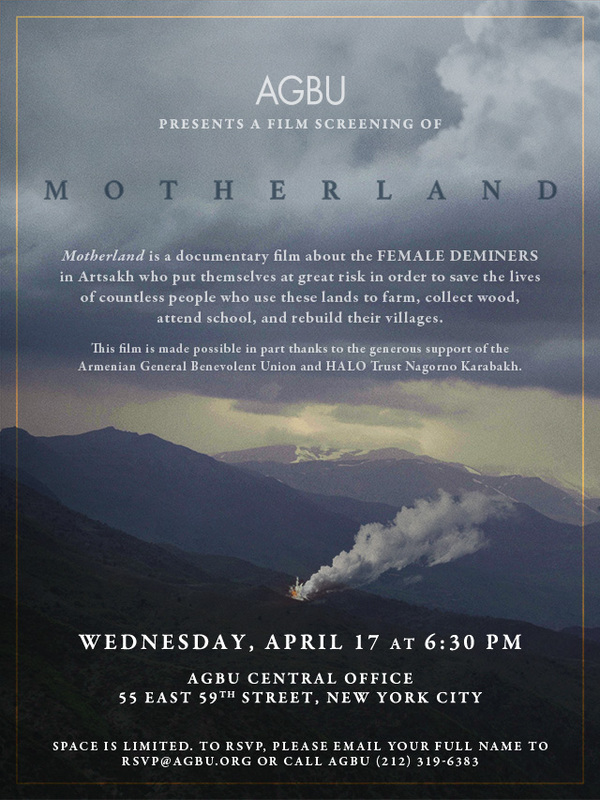 April 17, 2019: Screening of "Motherland," documentary about women deminers of Artsakh. AGBU Central Office, Midtown Manhattan. 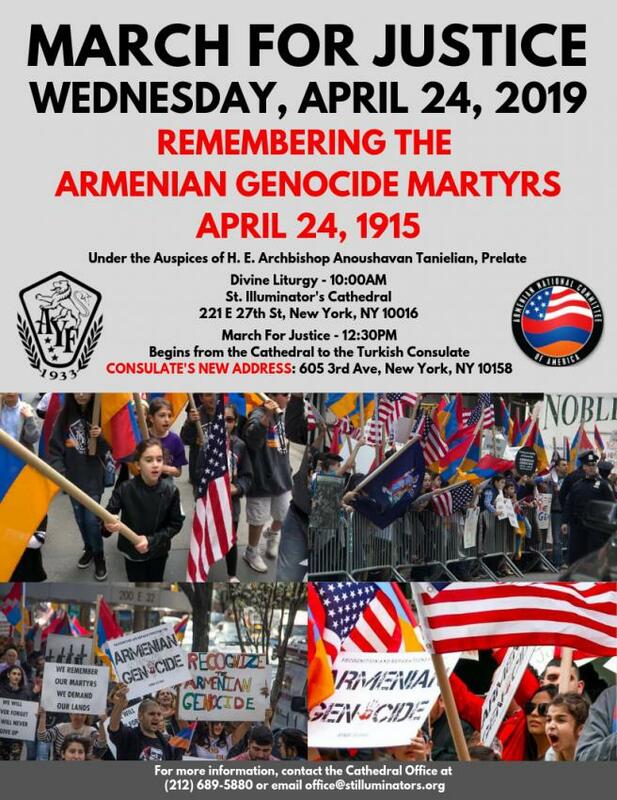 April 24, 2019: March for Justice: Remembering the Armenian Genocide Martyrs of 1915. St. Illuminator's Cathedral, Manhattan. April 28, 2019: Remembering the Armenian Genocide at Times Square, 104th Annual Commemoration. Times Square, Manhattan. April 29, 2019: Michael Sarian & The Chabones in concert. Nublu 151, Lower Manhattan. May 3, 2019: Panel on Protecting Your Eye Health-AAHPO Medical Workshop. St Leon Armenian Church, Fairlawn, NJ @ 7:30 pm. 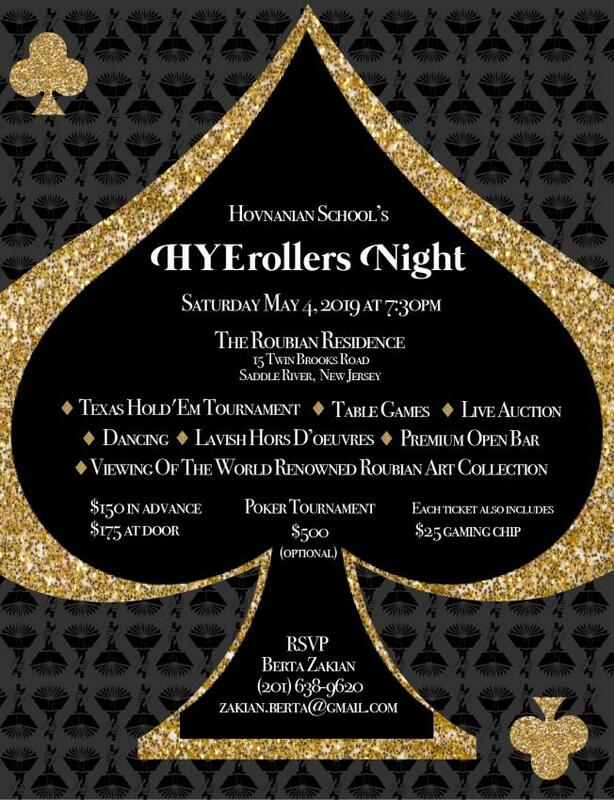 May 4, 2019: Hovnanian School's HYErollers Night. Roubian Residence, Saddle River, NJ. 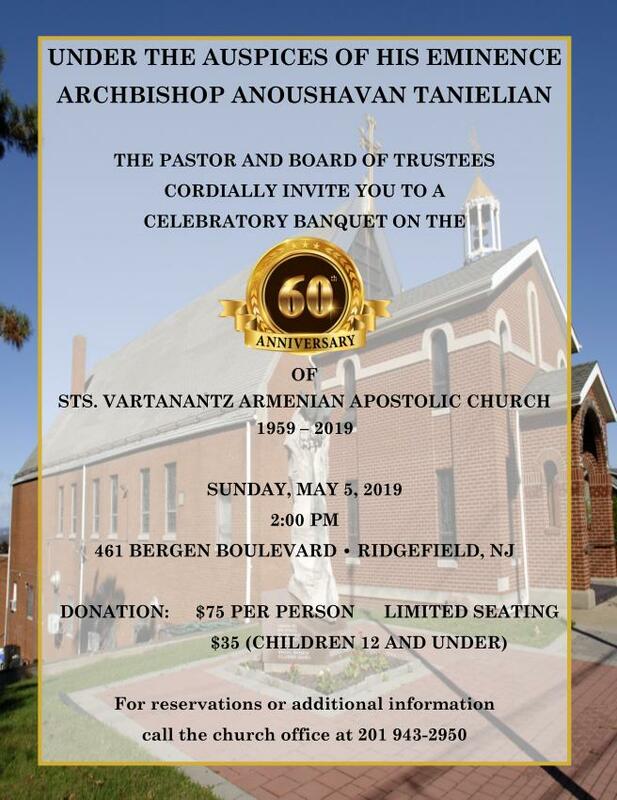 May 5, 2019: Celebratory Banquet on 60th Anniversary of St. Vartanantz Armenian Apostolic Church. Ridgefield, NJ. May 9, 2019: Genealogist George Aghjayan Presentation on Armenian Demographics in Ottoman Empire. Hovnanian School, New Milford, NJ @ 7 pm. May 10-11, 2019: The Big Bad Armo Show Live in NYC. Leonard Nimoy Thalia Theater, Upper West Side, Manhattan. 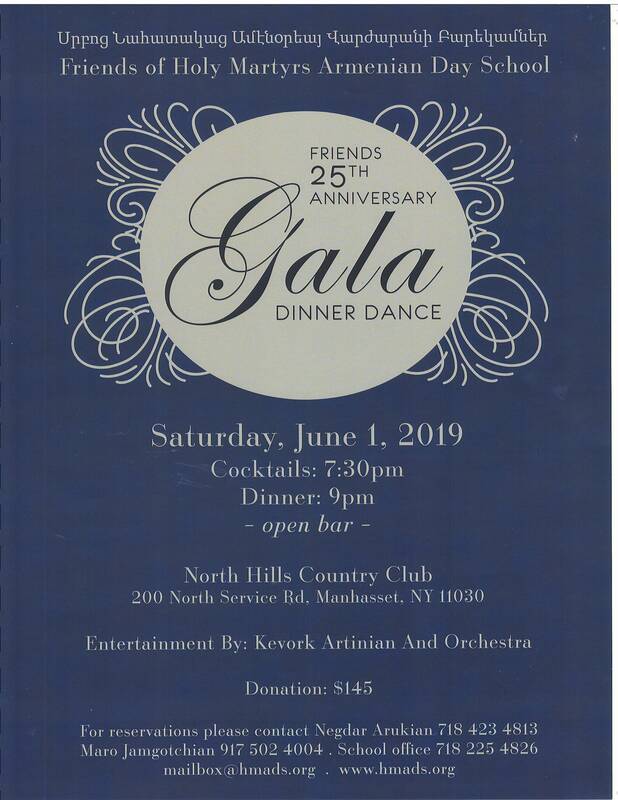 June 1, 2019: Gala to Celebrate Friends of HMADS 25th Anniversary. North Hills Country Club, Manhasset, NY. June 16-August 10, 2019: AGBU's 2019 Summer Internship Program in New York City. June 30, 2019: "Areni Choir: Komitas & his heirs" Celebrating 150th Anniversary. Kaufman Music Center's Merkin Hall. August 3-21, 2019: AGBU's 2019 "Discover Armenia" Summer Tour. Application Deadline in June 1, 2019. December 6, 2019: 150th Anniversary of Gomidas Vartabed. Presented by the Gomidas Choir. St. Vartan Cathedral. More details to come.